(TheAntiMedia) One of the officers that killed James Boyd is retiring early with full benefits and gets to avoid the Internal Affairs investigation by doing so. The local media in Albuquerque is trying to downplay his retirement by running headlines that indicate the exact opposite of the truth. Two hours later, Officer Sandy open fired and killed the man. Later the department tried to say that Sandy meant a Taser shotgun. Of course, Sandy didn’t shoot Boyd with a Taser. 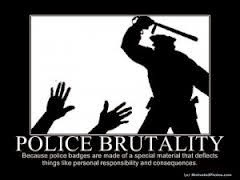 He opened fire and killed him while he was turning his back to the officers.Boyd was indeed mentally ill. He had verifiable history of mental illness spanning more than a decade. Now, Sandy is retiring early, getting his pension, and dodging an internal investigation. He will be paid 70% of his normal pay for the rest of his life. Boyd’s life is over.